Additional or replacements seats for your Canadian Canoe. The snap-in seat snugly snaps over vinyl gunwales and stays in place until you pop it out. This seat fits in the middle of all Old Town Canoes with widths of 34" to 37". The tough ABS construction can hold an adult or two children with a total maximum capacity of 300lbs. This seat will fit in the centre of most canoes. Made from high quality ash wood, with a varnish finish. These seats are wider and heavier duty then many other canoe seats. This seat will require cutting to length. Requires a Seat Hanging Kit to fit into a canoe. Click on photo for dimensions. 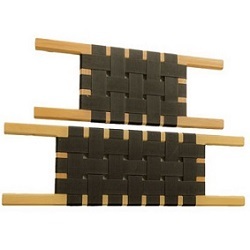 Can be used as a replacement kit or used to hang new seats. The kit contains 4 x 6" bolts, gunwale washers, plastic spacers, nuts, washers, rubber end caps and wooden spacers. The wood is pre finished and uncut to allow custom finishing. Seperate kits for centre seats and bow/stern seats. Compatible with the entire range of Nova Craft Canoes, the Canvas Sling Seat is an easy way to add an additional seating space to your canoe. An excellent choice if you occasionally take the extra passengers, the Sling Seat is quick and easy to both remove and store. The main seat is constructed from durable canvas and is connected to the gunwales using its strong nylon coated hooks via webbing straps. 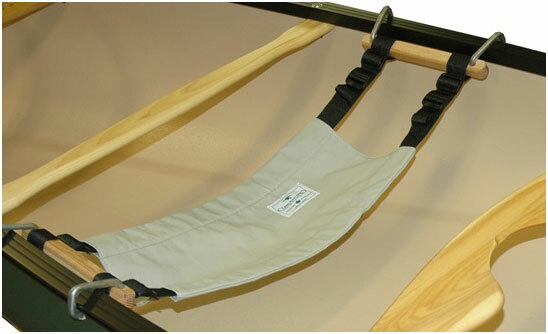 Easy to attach and adjust the Canvas Sling Seat is a great option for both the kids and adults. All the advantages of a quick release seat, with the durability and feel of a normal wood/webbed seat. 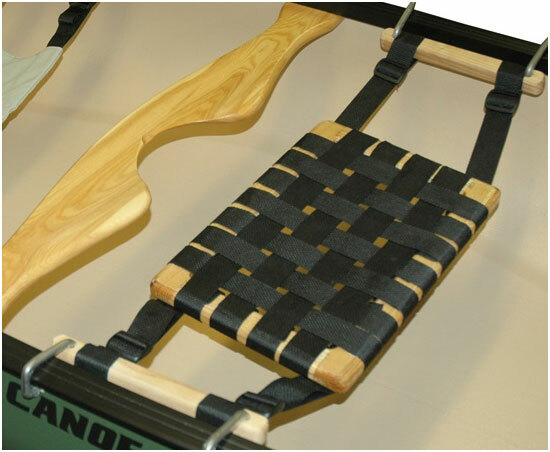 The Wood Web Sling Seat is an excellent choice if you occasionally take extra passengers and is both easy to install and remove. The main seat is constructed as your traditional wood/webbed seat would be and is connected to the gunwales using its strong nylon coated hooks via webbing straps. 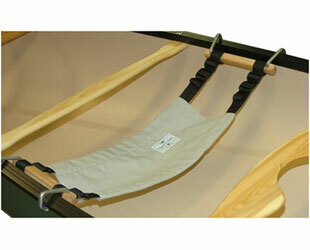 Easy to attach and adjust the Wood Web Sling Seat is compatible with the entire range of Nova Craft Canoes!